A worldwide growing momentum of real athletes and their passion inspired this site. So we created a place to promote, share and celebrate these athletes and their sports from throughout the world. Athletes that train, compete and do their thing for the passion, the spirit and the competition. Events that exist to celebrate and promote these athletes and their places...Climbers, skiers, surfers, runners, ultimate players, paddlers, rowers, base jumpers, cyclists....they are all in here and more. Enter, learn, explore and be inspired...react, comment or start something new. Miles Daisher Sets New World Record! The Jump for Kids Fundraiser was a huge success. The event raised over $15,000 for the children with special needs in Twin Falls. 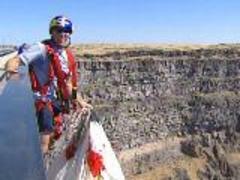 At the same time, Miles set a new world record for most BASE jumps in a day at 57 while hiking over 27,500 ft doing so. He shatterred the old record of 22. If the storm didn't blow in at 8:30pm stopping the efforts with three and a half hours to go, he would have easily done over 60 jumps which is hiking the equivilent of Mt. Everest from sea level. The city of Twin Falls is proud of the accomplishment and Miles is going to be recognized for promoting Twin Falls' tourism and given a good neighbor award by the Chamber of Commerce. It's slowly starting to cool off in some parts of the country, but Ulimate Frisbee is heating up! Right now all across the country club ultimate teams are playing in Sectionals to obtain a spot at Regionals. If they find their perfect flow and gel in time, they could end up at the infamous UPA Club Championships. The Championship will take place in Sarasota, Florida on October 27-30. Check the UPA website for more infomation about the events leading up to the Championships and about ulimate frisbee in general. Patagonia/Watergirl Ambassador Mary Osborne was recently selected to attend the WSF annual party in NYC at the Waldorf-Astoria hotel next month. 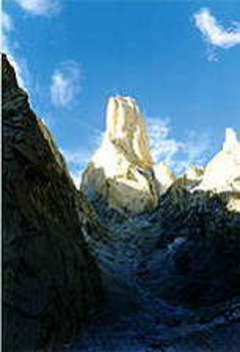 Mary comments: "I have donated a few items to the foundation in the past but I am still figuring out how this happened. Only 100 top female athletes (mostly Olympic athletes) are chosen to attend each year and I am very honored to be attending. It should be a night to remember." We're happy for Mary and think this is just the tip of the iceberg for this talented surfer. Attached is more information for you to view. 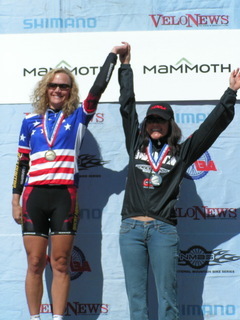 For results of last week's NORBA Mountain Bike Series check it out here. The North American Cup Championships was a two series event. The crowned North American Champion is the person who racked up the most combined points of both competitions. There was a $5000.00 purse for the winners of this event. The first part of the competition was held on the Route 3 Wave on the Black River in Watertown, NY and the second part was held on the Garberator Wave on the Ottawa River in Ontario, Canada. 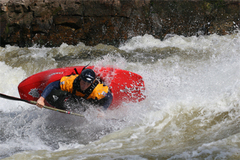 Both sites are world class and world renowned for white water kayaking and white water rafting. Both competitions were exciting and thrilling with intense competition from all competitors and classes. For the women, it was Ruth Gordon who dominated throughout the Championships with such style and finesse!! Ruth continually threw consistent rides with aerial blunts and back stabs. 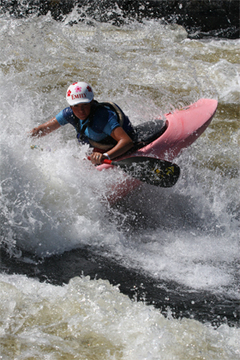 She came in 1st in the Blackwater Challenge in New York and second to her close friend, Cindy Jameson in the Canadian Cup, earning her the title of 2005 North American Champion. ***Little foot note both Hannah Farrar and Emily Jackson are young paddling stars and incredible to watch paddle. In fact, Emily was a silver medalist in the Cup and Hannah was top competitor leading into finals in the Canadian Cup. They both have moved into the Pro Women’s K-1 class and are a powerful force to contend with. It is exciting to see these two excel so fast in the World of kayaking. As for the Juniors…..can you say Generation Next!?! What a strong group of kids!! Joel Kowalski and Todd Baker definitely stepped it up and respectively claimed gold and silver medals in the North American Cup Championships. Joel with the gold medal becomes both the Junior Canadian National Champion and North American Champion. He threw one of the highest rides of the competition even amongst the Pro Men’s K-1 class. His consistent aerial Air Screws were a definite crowd pleaser and high point scorer. Last and not least, the Pro Men’s K-1…Eric Jackson's winning streak (he won every single event of 2005 till this one) was finally stopped by Andrew Holcombe, who won the Canada Cup and came in second at the Blackwater Challenge to earn the North American Chamionship. Eric Jackson won the Blackwater Challenge but dropped to second in the Championship after losing to veterans Clay Wright and Shane Benedict as well as 'the newcomer from downunder' Anthony Yapp at Garb. 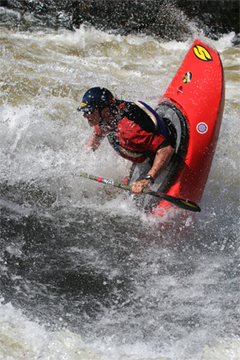 Amazing rides from all competitors, truly showcasing the sport of freestyle kayaking. Next year, the World Cup will be held respectively again at these two venues as well as at Rock Island. The competition will be even more fierce with not only the North American paddlers competing but the whole World. Stay tuned for more updates…..next one US Nationals at the Coosa. Tremendous racing last weekend with the 2005 Catalina Crossing , the US National Championships of outrigger racing going on in Southern California. 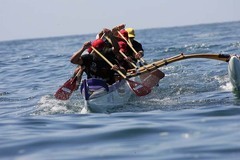 Battling very flat conditions, outrigger teams from California, Hawaii, Texas, Washington D.C., Oregon, Australia, Canada and beyond paddled either from Newport to Catalina (Women and Mixed crews) or from Catalina to Newport (Men crews). At the end of it all, Patagonia teams took 1, 2, 3 and 4th on the Women's side with Lanakila's women taking the top prize on Saturday; and 1, 2 & 4th on the Men's side with Kona, HI's Tui Tonga taking first place with a very fast 4:59 considering the conditions. This 24 hour bike race is based out of Brevard NC. It's taking place this weekend and you can read all about it here . Does it really count if you're 11 years old, weigh 40kg (88 lbs) and can climb 8C? A downriver race on this legendary section of river. This race is now 13 years old! It starts near the base of Summersville Dam and ends nine miles downstream. 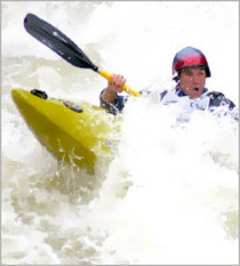 Paddlers must negotiate the 'Big Five' on the Upper Gauley and the finish line is at a 12 foot drop called Sweet's Falls. 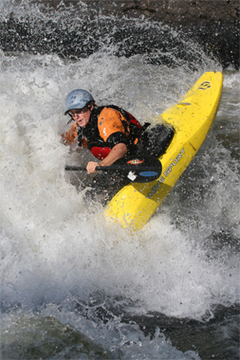 Racers come from all segments of the paddling community- World Champion Rodeo Boaters, U. S. Wildwater Team Members, professional videographers as well as recreational boaters that want to see how fast they can go. It is a "ProAm" race- everyone is welcome. The post-race awards party is an awesome event in itself. At the party, racers enjoy a buffet dinner, live music, and lots of prizes. Remember.... Experts Only - don't swim in the creek! The Green River Race - One of a Kind! UPA Club Championships - Final Results! What happens when a river doesn't run for 75 years?